Providing you the best range of designer wooden bed, wooden double bed, queen size bed, wooden high back bed, wooden bed and wooden bed with quilting and tapestry with effective & timely delivery. Our company is a recognized venture in industry engaged in offering to its valued customers a qualitative range of Designer Wooden Bed. Offered Designed Wooden Bed is carved out of processed and seasoned wood making use of technical arbitration by our adroit carpentry experts. This product reflects exceptional craftsmanship and is widely appreciated among our customers for its elegant construction and finished standards. Before being dispatch, it is well polished and check for flawlessness. 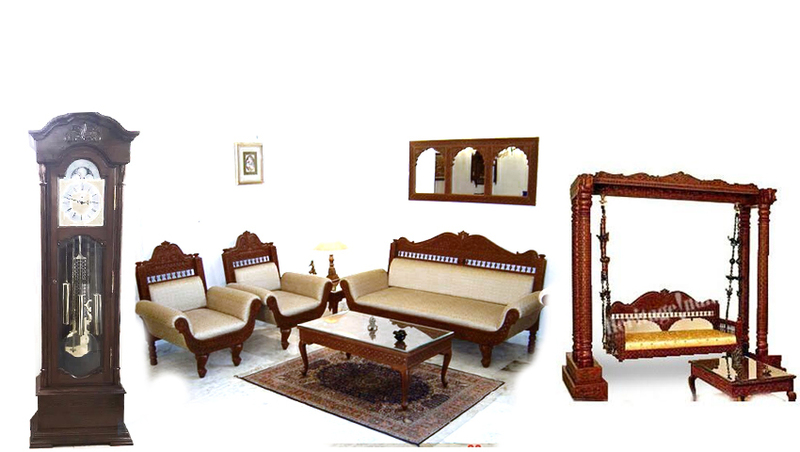 On demand of our prestigious clients, we are offering Wooden Double Bed. Using qualitative wood, our product is designed in order to deliver flawless range to our prestigious clients. This product is stringently checked by our quality controllers in order to deliver defect free range to our clients' end. Moreover, our clients can avail the offered range from us at market leading prices. 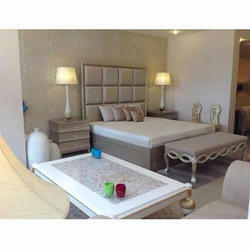 Queen Size Bed offered comprises trendy and durable range of beds. 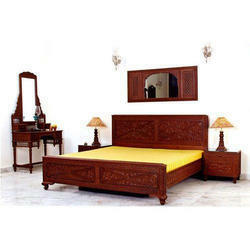 Wooden High Back Bed offered comes carved out from superior quality material for lasting usage. Wooden high back Bed with capestry work and high gloss finish. Wooden Bed offered feature fine detailing work and breath taking finish. 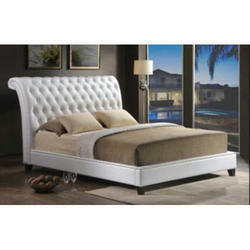 Wooden Bed with Quilting And Tapestry offered is available in eye catching finishing and elegant looks.